Senator Benjamin L. Cardin was elected to the United States Senate in 2006. 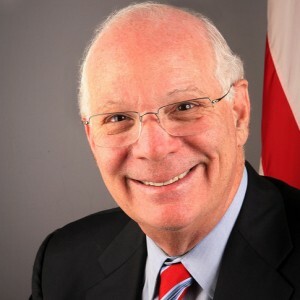 Senator Cardin serves on five critical senate committees: Foreign Relations, Environment and Public Works, Finance, and Small Business. He also is Ranking Member on the Commission on Security and Cooperation in Europe (the U.S. Helsinki Commission). In addition, he is Chair of one of the three international committees of the Organization for Security and Cooperation in Europe (OSCE) Parliamentary Assembly that deals with economics and the environment. In 2001, he was named by Worth Magazine as among the top "100 people who have influenced the way Americans think about money." In 2004, he was named to Treasury and Risk Management’s list of "100 Most Influential People in Finance." Previously, Sen. Cardin represented Maryland's Third Congressional District in the House of Representatives from 1987 to 2006 and served as Speaker of the House in Maryland's General Assembly.